1. 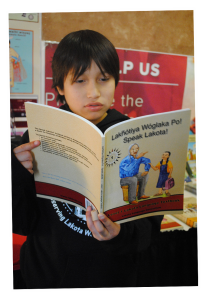 What is the Lakota Language? 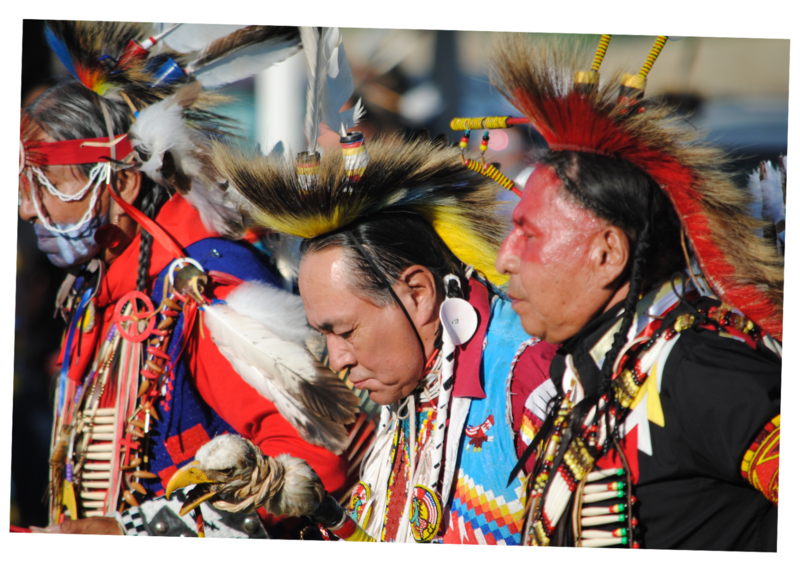 The Lakota language is part of the of the Siouan language family of North America. It was once spoken across a wide geographic area in the Northern Plains and is still considered by most linguists to be one of the largest Native American speech communities in the United States, with approximately 6,000 speakers living mostly in northern plains states of North Dakota and South Dakota. The Dakota language is a very close relative to Lakota. The two languages are mutually intelligible; Lakota speakers understand Dakota and vice versa. Dakota has two dialects: Santee-Sisseton and Yankton-Yanktonai. Despite these divisions, the Lakota and Dakota are homogenous languages. In the New Lakota Dictionary, almost three-quarters of the words are identical in Lakota and the two Dakota dialects. The Lakota language is spoken by seven tribes who currently reside on the following reservations in North and South Dakota: the Oglála, Sičháŋǧu, Mnikȟówožu, Itázipčho, Sihásapa, Oóhenuŋpa and Húŋkpapȟa. For a more detailed discussion of the Lakota language groups, consult the introduction to the New Lakota Dictionary by the Lakota Language Consortium. 2. Is Lakota a written language? It is today, and has been for almost two hundred years. In the 1830s, Christian missionaries in Lakota Country devised the first alphabet for the Dakota language, basing it largely on the Latin alphabet and adding new letters and symbols to represent the sounds in the Lakota language that do not exist in English. Their goal, or course, was to gain converts, not to document the language, and as a result their efforts form an important but incomplete picture of 19th century Lakota. These missionaries taught many Lakotas to read and write, and by mid-century a Christian bible, written entirely in Dakota, was published. 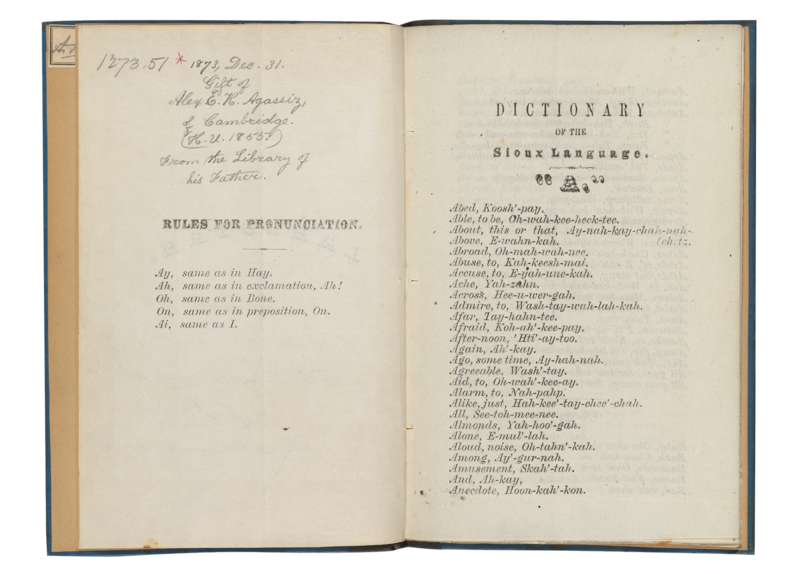 At the same time, early lexicographers were documenting the vocabulary and grammar of the language, producing dictionaries that formed a foundation for further study. There were problems with this early work. For example, several works were one-sided, going from Dakota to English, but not the other way around. English speakers unfamiliar with Dakota would be hard pressed to use the dictionary to learn the language. Many of the dictionary entries presented words in an unidiomatic fashion, presenting phrases that no native speaker would ever use. Still this foundation proved invaluable to later lingusts studying the language. And literacy itself proved a powerful tool for preservation of the language. 3. Is Lakota hard to learn? Lakota has a reputation for being hard to learn, and indeed many elements of the language do differ from English. Lakota is a highly verb-oriented language. Words that in English are used as adjectives, for example “red” or “thirsty,” are actually verbs in Lakota, and therefore need to be conjugated. Also, the relationship between subject and object in Lakota is also different from that in English, and this too might present a challenge. And while English speakers might find the language a challenge, it is no more challenging than learning Japanese or Urdu. 4. Where can I learn more about Lakota? 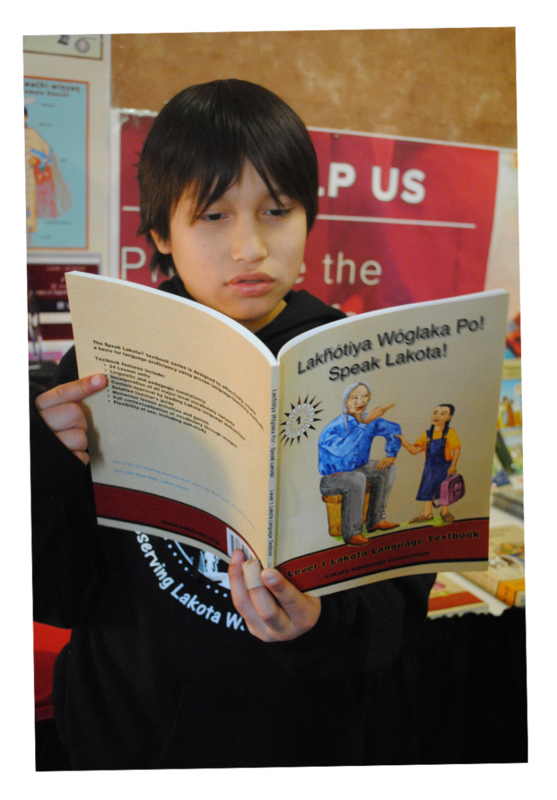 The Lakota Language Consortium offers an extensive set of materials for students interested in learning Lakota. Visit the “Learn and Explore” section of their website for more information. Another learning tool is the The Lakota Language Consortium online community, “Lakȟól’iya Owáakheye Othí.” This site introduces visitors to Lakota language news, discussions, and activities. Membership is free, and beginners will be well served by first visiting the “Policy, Settings and Awards” section, and by checking out the FAQs. Participation in the community is graded — beginners have access to the more basic offerings, serious learners and native speakers can visit forums with more advanced material. Beginners have access to readings, essays and discussions that range from common errors in Lakota to an evaluation of the Lakota dialogues in the movie Dances with Wolves.